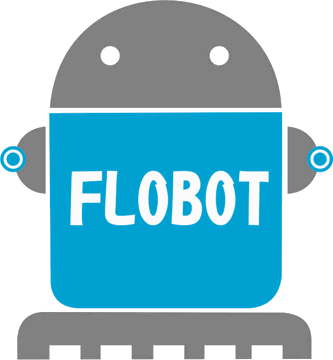 Flobot | » Press release: FLOBOT – Professional Robot for Washing Large Areas is now ready! The EU co-funded project FLOBOT has just been completed and the operational prototype has proven its value in four different scenarios. 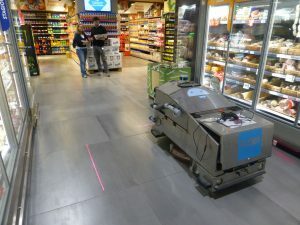 FLOBOT is a large-scale, autonomous floor washing machine, for washing the floors of supermarkets, airports and other big areas that have to be cleaned regularly. 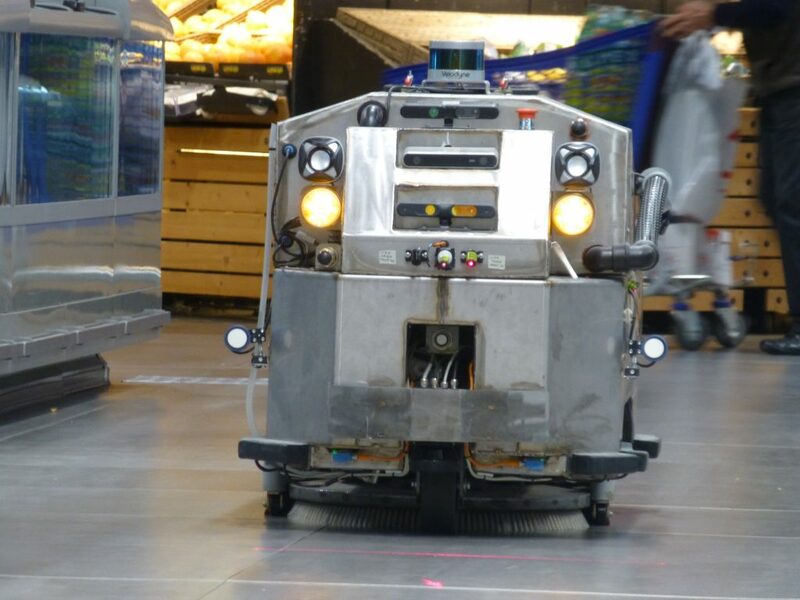 Floor washing tasks have many demanding aspects, including autonomy of operation, navigation and path optimization, safety with regards to humans and goods, interaction with human personnel, easy set-up and reprogramming. FLOBOT addressed these problems by integrating existing and new solutions to produce a professional floor washing robot for wide areas. The FLOBOT has been developed by a multi-disciplinary team, coordinated by CyRIC – Cyprus research and Innovation Center Ltd. 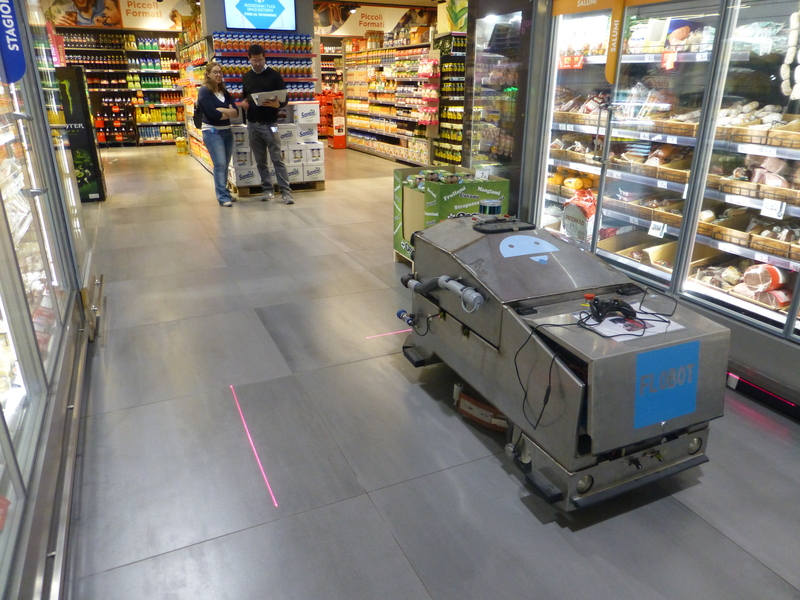 The main focus has been on the cleaning performance of the robot, as well on the safety of autonomously navigating in the presence of people. For ensuring cleaning performance, significantly higher with respect to other robot solutions, FLOBOT was developed based on the scrubber-drier technology of a leading Italian manufacturer of such machines (FIMAP). For achieving maximum safety, the robot includes an independent set of safety sensors that will continue to operate, even in the case the robot’s software crashes. It even includes a proactive safety module that uses lasers and speakers for notifying people around the robot about its presence and planned movement. 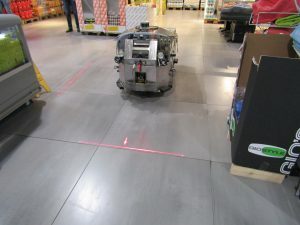 The robot includes smart software modules for differentiating people from other, static obstacles and acting appropriately, as well as for detecting dirt on the floor. It can also indicate on a map the dirtiest and most frequently used by people areas, in order to allow the supervisor to draft a suitable cleaning strategy for each area. The whole robot operation is controlled by a simple, friendly, tablet application. Data collected during the operation, such as statistics on the areas that have been cleaned and the water that has been consumed can be automatically sent from the tablet to a cloud server for reporting purposes. A module for interfacing the FLOBOT data with the possible data management systems already used by the user has also been developed. At the end of its mission, the FLOBOT can be attached to its docking station in order to automatically recharge its batteries, empty and rinse the wastewater recovery tank and fill-in again the clean water tank. 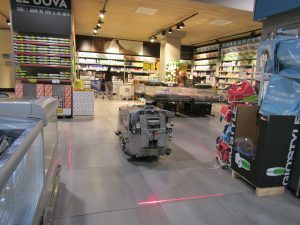 The FLOBOT has been extensively tested and validated in real-world scenarios in France (Lyon Saint-Exupery airport, DHL warehouse) and Italy (Carrefour hypermarket in Carugate, Imola hospital) and the partners are already working on the preparatory activities for industrialisation and commercial launch. The project is funded by Horizon 2020, the EU Framework Programme for Research and Innovation for 2014-2020. Project partners include CyRIC – Cyprus Research and Innovation Centre (coordinator), Fimap SpA (Italy), EasyMile SAS (France), Technical University Wien (Austria), University of Lincoln (UK), Carrefour Italia (Italy), Manutencoop Facility Management (Italy), Ridgeback S.A.S. (Italy) and GSF SAS (France). 1. Horizon 2020 is the biggest EU Research and Innovation programme ever with nearly €80 billion of funding available over 7 years (2014 to 2020) – in addition to the private investment that this money will attract. It promises more breakthroughs, discoveries and world-firsts by taking great ideas from the lab to the market.